Alain Mabanckou left Congo in 1989, at the age of twenty-two, not to return until a quarter of a century later. 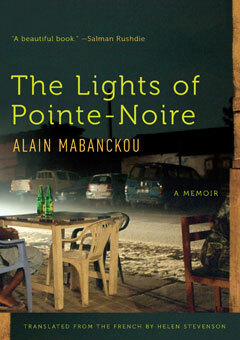 When he finally came back to Pointe-Noire, a bustling port town on Congo’s southeastern coast, he found a country that in some ways had changed beyond recognition: the cinema where, as a child, Mabanckou gorged on glamorous American culture had become a Pentecostal temple, and his secondary school has been renamed in honor of a previously despised colonial ruler. But many things remain unchanged, not least the swirling mythology of Congolese culture that still informs everyday life in Pointe-Noire. Now a decorated writer and an esteemed professor at UCLA, Mabanckou finds he can only look on as an outsider in the place where he grew up. As he delves into his childhood, into the life of his departed mother, and into the strange mix of belonging and absence that informs his return to Congo, his work recalls the writing of V.S. Naipaul and André Aciman, offering a startlingly fresh perspective on the pain of exile, the ghosts of memory, and the paths we take back home.